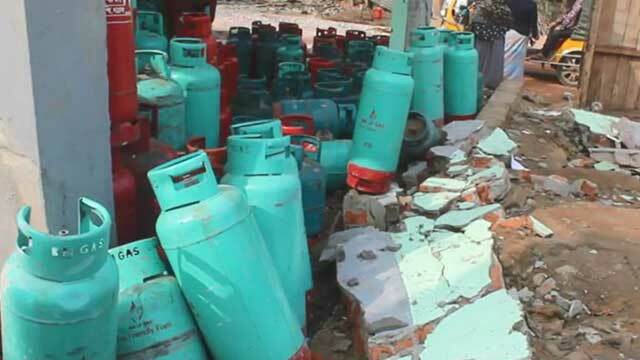 At least seven people including a couple sustained burn injuries from an explosion at a gas cylinder shop at Khobongpuria village in Sadar upazila early Tuesday. Among them, four critically injured were transferred to Chattogram Medical College Hospital, said Shahadat Hossain Titu, officer-in-charge of Sadar Police Station. The injured are Bhuban Bikash Chakma, 50, Abdul Hamid, 23, Md Jamir, 22, Mahmud Ullah, Newton Chakma, Mohiranjan Chakma and his wife Minoti Chakma. A cylinder of the shop, in front of ‘Youngster Club’, exploded with a big bang around 4 am, leaving seven people of adjoining shops injured. The explosion also damaged parts of the wall of the club, witnesses said.